Previously I spoke about how stress can have positive benefits, that happiness is about connections, that we too often talk about our dream jobs or true love, and that the program is more important than the goal. 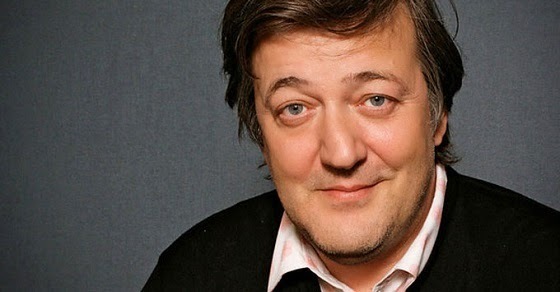 Stephen Fry is an English comedian, actor, journalist, broadcaster, activist, and documentarian. He had a troubled youth, expelled from two schools and a brief three month stint in prison for credit card fraud. Following his release, he promised administrators that he would study rigorously for the Cambridge entrance exams. He gained a scholarship to Queens' College, Cambridge. At Cambridge, Fry joined the Cambridge Footlights, studied English literature, and graduated with upper second-class honours. Fry also met his future comedy collaborator Hugh Laurie at Cambridge. He's had several lifetime's worth of experience. Here is the wisdom of Stephen Fry.